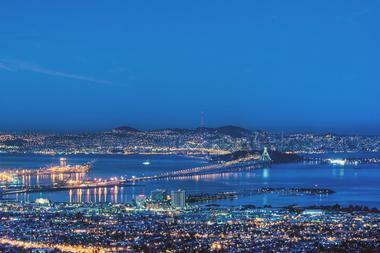 Berkeley is a vibrant city with beautiful parks, great museums and unique attractions. Take a romantic walk through the UC Botanical Garden, watch a performance at the Berkeley Repertory Theatre and dine at one of the excellent restaurants in town. 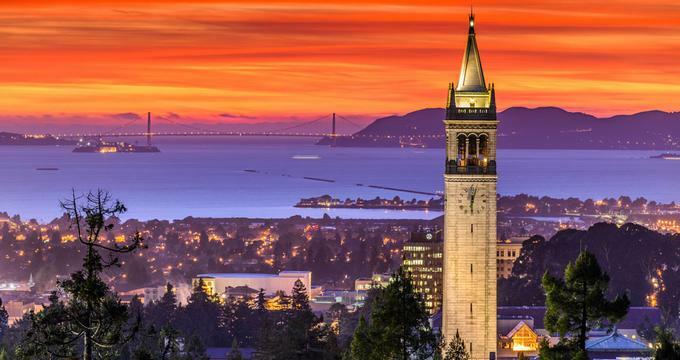 Best things to do in Berkeley, California for families include the Lawrence Hall of Science, the Habitot Children’s Museum and the Ecology Center Farmers' Markets. Grizzly Peak is located in Tilden Regional Park in the Berkeley Hills between Alameda and Contra Costa counties and is one of the top Berkeley attractions. Found just behind the Berkeley campus of the University of California, Grizzly Peak was named after a California grizzly bear that lived in the area until the late 19th century. Grizzly Peak Boulevard was constructed in 1932 along the Berkeley Hills, a location that made it easier for people to visit the peak. At one time, there was an inn and stage stop called the Summit House located in this area. At Grizzly Peak there are several things to do: there is a basketball court, a picnic area with a BBQ, and a play area with a steel slide and sand area. Located on Centennial Drive, the University of California Botanical Garden at Berkeley is known for its large collection of plants and is one of the best things to do in Berkeley, California. It is a 34-acre botanical garden that has many endangered and rare plant species and is located on the campus of the University of California in Strawberry Canyon. Established in 1890, the garden contains over 20,000 plants that represent more than 300 different plant families, including cacti, ferns, heath, lilies, and orchids. 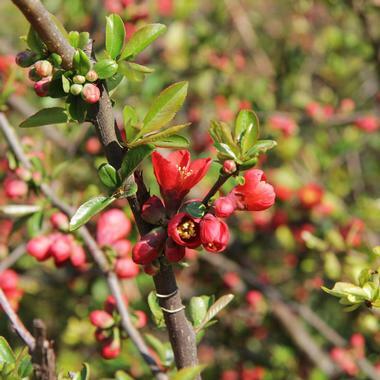 The garden is organized by geographic regions: African, Asian, Australasian, and many more. There are several greenhouses that are home to cacti, carnivorous plants, ferns, and other kinds of plants. 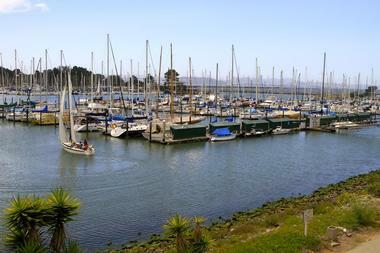 The Berkeley Marina includes 52 acres of water and more than 1,000 berths on University Avenue in the westernmost area of the city. In addition to the marina, there is a hotel, a yacht club, several restaurants, a fishing pier, and several bicycle and walking paths. There are several attractions that visitors to the marina can enjoy. For example, children will love the Adventure Playground. Opened in 1979, the playground features a zip line and many things for children to climb on like boats, forts, and towers, among other features. The Shorebird Park Nature Center has a salt-water tank and a fresh water tank: here, visitors can see marine animals as well as birds. The Lawrence Hall of Science, established in 1968, was built to honor Ernest Orlando Lawrence, the first Nobel Prize winner from the University of California. The center is situated in the hills above the campus and close to the Botanical Garden. It features hands-on science exhibits for students of all ages and offers educational programs as well. If you are wondering what to do in Berkeley, California with kids, this is a great place to visit with the whole family. Some of the permanent exhibits include Forces that Shape the Bay, KidsLab, Science on a Sphere, among others. The center also hosts many rotating exhibits and features an interactive planetarium built in 1973, and it is considered to be one of the best in the world. The Berkeley Rose Garden is owned by the city of Berkeley and is located on Euclid Avenue in the residential area of North Berkeley. Begun in 1933 as a WPA project, the garden was created in the shape of a terraced amphitheater in a small canyon with stunning views of the San Francisco Bay and the Golden Gate Bridge. The garden contains more than 3,000 rose bushes that represent 250 varieties of roses, and it is considered to be one of the best rose gardens in northern California. A Rose Day Celebration on Mother’s Day is one of several events the garden hosts. There is something soothing about Iyasare (In fact, Iyasare means “to heal.”). 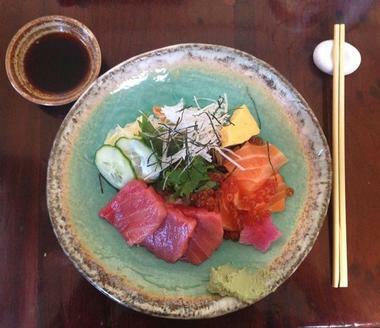 This Japanese-Californian restaurant is located on busy Fourth Street in Berkeley. It features an intimate atmosphere with soft lighting, beautiful woodwork, and an open kitchen where you can watch art in the making. And art is just what they produce – the colors, textures, forms, and mix of ingredients are astounding creations that you’ll appreciate even before you take a bite. The ingredients and intricate flavor combinations work together to create something completely new. 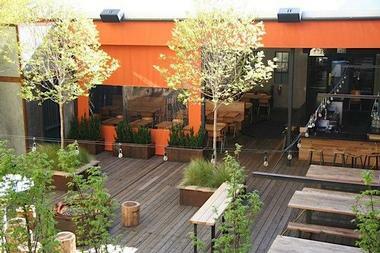 If you are looking for romantic date ideas in Berkeley, this is a great place to try. Chef Shotaro Kamio brings together his childhood memories and experiences from rural northeastern Japan and his many years working in Californian Japanese restaurants. The result is the kind of Japanese comfort food you savor and remember for a long time. 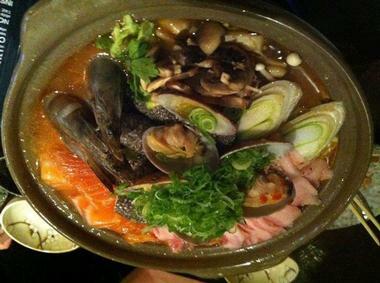 Ask for a light Japanese or locally brewed beer to go with the rich flavors of the food. Entering the dining room at Gather feels like arriving at a party in full swing. The restaurant is busy, cheerful, and vibrant and features a smart combination of modern and down-to-earth décor. The restaurant is located on the ground floor of the David Brower Center, a LEED Platinum awarded building across from UC Berkeley. That should give you an idea of how serious they are about sustainability and the environment. Chef Tu David Phu works with local farmers to get his supply of rare heirloom fruits, grains, and vegetables. Locally foraged pollen, mushrooms, and edible flowers also play their parts in the innovative dishes. About half of them are vegetarian, and the other half uses animals that have been raised on local farms. The menu changes daily and depends on what is available from the partnering farms. The blend of modern and old-fashioned cooking techniques results in interesting flavors and classic favorites with a modern and healthy twist. 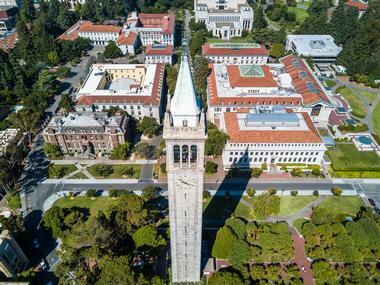 Located on the campus of the University of California, Berkeley, the Sather Tower is a bell and clock tower that is known to many people as the Campanile because of its similarity to the Campanile de San Marco in Venice, Italy. Standing at 307 feet tall (93.6 meters), the tower was built in 1914 and is the world’s third tallest bell and clock tower; it is the university’s most recognizable structure and has seven floors and an observation deck on the eighth floor. Every part of India has its specialties, and Berkeley is fortunate to have a place like Viks Chaat and Market where you can try the best street snacks, little pieces of heaven from all parts of this vast country that will have you licking your fingers when you’re finished. In fact, that is just what chaat means – you have to lick your fingers when you finish each morsel. Vik’s makes their dishes fresh from scratch every day, from chopping veggies to kneading dough. 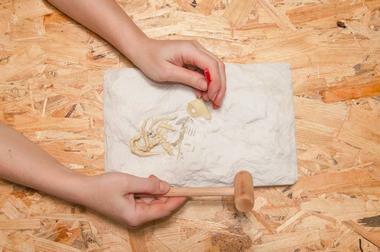 Everything is made by hand while you wait. 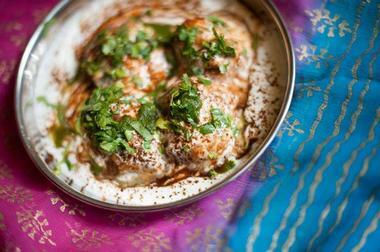 And be prepared to wait at least a little – Vik’s Chaat is very popular and usually packed. The restaurant is set in a simplistic warehouse attached to their store, meaning there is nothing to distract you from the delicious pakoras, samosas, puris, and so much more. The cuisine is spicy, bursting with flavors, and full of exotic ingredients from all over India. Rivoli is a romantic, elegant, and relaxing eatery. Perhaps the appeal of the restaurant has something to do with the simple, straight-lined Mid-Century Modern décor and the wall of glass that separates the dining room from a lush, almost tropical, garden. The lustrous wood tables and fine silverware will tell you that you are in a place where they take food seriously. The menu features New American cuisine that is truly unforgettable. Seasonal ingredients are sourced from local markets, fish is line-caught, and meat comes from naturally raised animals. 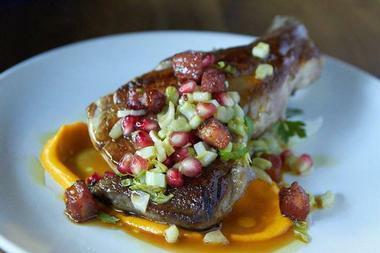 The menu changes often depending on the availability of seasonal ingredients. Dishes range from small fancy bites such as rabbit liver mousse with fresno chili jam and pain de mie to hearty pan-roasted guinea hen with confit hash and wild huckleberry. Located on Addison Street, the Berkeley Repertory Theatre is a well-known performing arts venue and acting school. Established as a storefront stage in 1968, the theatre has grown to be one of the most innovative performance venues in the U.S. The theatre contains two stages and premieres many plays that are later performed on Broadway and in London. 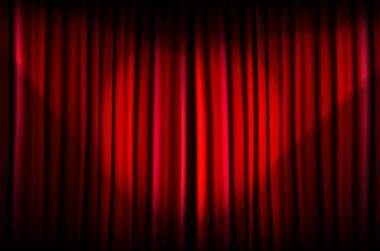 In addition to performances at its Berkeley location, the theatre sends some of its productions on tour around the U.S. and to other countries. There are 30-minute pre-show docent talks on Tuesdays and Thursdays as well as post-show talks after matinee performances. 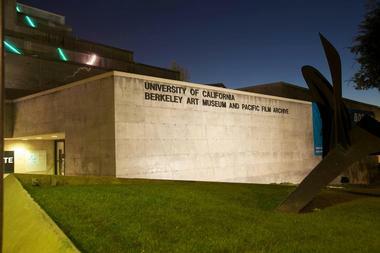 The Berkeley Art Museum and Pacific Film Archive was established in 1963 with a donation of several paintings and funds from Hans Hofmann, an artist and teacher. Opened in 1970, the museum is associated with the University of California, Berkeley. Some of the featured artists include Robert Mapplethorpe, Jackson Pollock, and Mark Rothko, among others. One of the museum’s programs is The MATRIX Program for Contemporary Art, and it recently acquired Steven Leiber’s collection of art materials and Conceptual Art. Founded in 1966 by Sheldon Renan, the Pacific Film Archive screens international films and has a library with an online database of the films. The Berkeley Art Museum and Pacific Film Archive recently moved into a new building designed by renowned architects Diller Scofidio + Renfro and will reopen to the public on January 31, 2016. 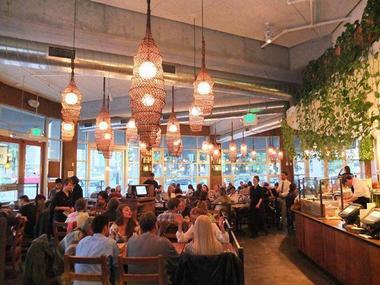 Berkeley art district has a lot to offer when it comes to dining options, but Comal, a restaurant that is packed most nights, is a special treat. Their spacious and delightfully simplistic dining room accommodates 150, while the lovely back patio with a fire pit can seat another 70. Even with all that space, you will still have to make reservation to get in. Comal is an excellent combination of a village-type atmosphere with its large communal tables and Chef Matt Gandin’s fabulous Mexican food. Let’s not forget the drinks – their margaritas attract flocks of university students, and their house-made sangrita flows freely every night. Comal has any kind of Mexican dish you could ever want, and their skilled chef prepares everything to perfection. Try their quesadillas – they come with Hen-of-the-woods mushrooms and epazote herb, and they are served with habanero salsa. Mexican vegetarian? Why not? As a vegetarian who loves Mexican food, Antonio Magana grew tired of veggie burritos, a frustration that led him to create and sell meatless versions of his grandma’s old recipes. He first started out in Berkeley’s farmer’s markets, but you can find him now in Flacos, a small restaurant in a cute little stone house near the Ashby BART Station. His taquitos, tacos, huaraches, and tamales are succulent and delicious, and everything is so delicious and flavorful that you will have a hard time believing there is no meat in any of the dishes. Antonio makes a point of using the freshest organic vegetables that grow seasonally in the area. 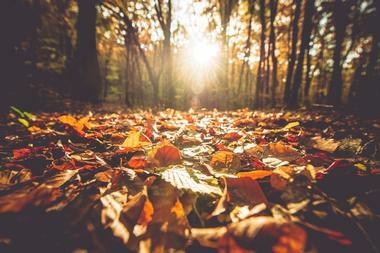 If it is not in season, you will not find it. His food is not only organic, it is also gluten-free. 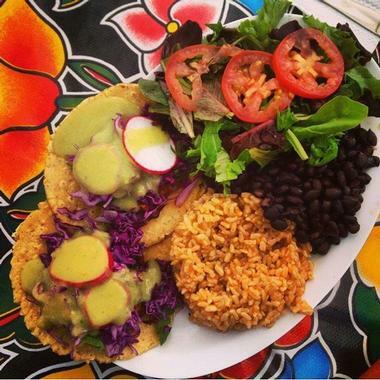 You have to try huarache – organic corn tortilla filled with avocado, refried pinto beans, rice, cilantro, onions, radish, cabbage, and salsa. 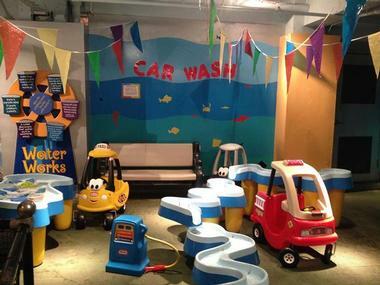 Located on Kittredge Street, Habitot Children’s Museum is a hands-on museum founded by teachers and parents in 1992. It is a popular East Bay museum that gives infants, toddlers, and preschoolers the opportunity to learn and play in a safe environment. The museum features many exhibits like the Infant-Toddler Garden and Little Town Grocery and Cafe, and a program called The Art Studio where children learn skills through activities such as Clay Play. The museum also offers children’s camps, classes, and seasonal workshops, and it welcomes group visits and hosts birthday parties. Habitot Children's Museum is one of the best things to do in Berkeley, California for families with small kids. Izakayas are traditional and informal Japanese drinking places that serve small plates of food where people meet after work to chat and relax. At Kiraku, they recreate the izakaya experience by starting with a warm oshibori towel to refresh your face and spirit and to help you relax and fully enjoy the food and drinks. Kiraku offers Japanese beer, very good sake, a range of interesting small plates to share with friends, and a pleasant atmosphere for conversation. The cuisine is more authentically Japanese than you might typically find in other Japanese restaurants in the West. Not everyone is ready for Octopus Marinated with Wasabi, Spicy Jellyfish, or Dried Fish Roe. It is perhaps an acquired taste, but the outstanding flavors won’t disappoint. The restaurant also has a nice selection of beer and sake to accompany your meal and enhance its flavors. 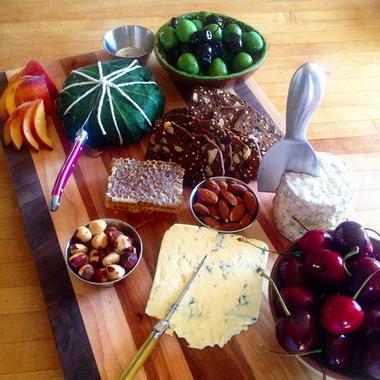 The Cheese Board Collective is a workers-owned cheese shop/bakery and pizzeria on Shattuck Avenue, in what is popularly known as the gourmet ghetto. Established in 1971, Cheeseboard Collective spearheaded both the cooperative movement in California and the focus on quality and diverse types of cheese, which was until then a completely European concept. Today, Cheeseboard Collective operates from two stores: that bakery that also sells local and imported cheeses and the nearby pizza shop, which produces daily pizzas, has live music for lunch and dinner, and hosts special events on many international holidays. The bakery also sells a huge range of pastries and sweets. Not everything is baked every day, but you’ll definitely find something to tempt you whenever you happen to visit. Some of the best restaurants are often community-gathering spaces. You come to eat, chat with old friends, and meet new ones. This description perfectly fits Elmwood Café today and Elmwood Soda Fountain, the original restaurant established in 1921. The café is located in a historic building designed by John A. Bischoff. Much of the original charm has been preserved throughout the building’s extensive renovation – you will see charming display cabinets, original oak paneling, an old counter, and fun little uneven red chairs. The spirit of the original Soda Fountain has been preserved through Elmwood Café’s simple comfort foods made from fresh seasonal ingredients supplied by local farmers and artisans. They make everything in-house daily, including salads, soups, sandwiches, sauces, fresh breads, granola, jams, and syrups for their wonderful sodas. They also sell a few of their products – try their almond butter or granola. The Ecology Center Farmers’ Markets are open air markets that feature local California products at three locations in Berkeley: Downtown Berkeley, North Berkeley, and South Berkeley. 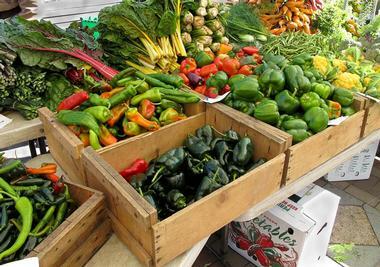 The markets feature and celebrate sustainable agriculture and products that are brought in by small-scale farmers. All of the products are locally grown and produced; they include baked goods, cheese, flowers and other plants, fruits and vegetables, jams and preserves, olive oil, vegetables, and much more. The markets host special events including musical performances. Located in a beautifully restored historic Hotel Shattuck Plaza in downtown Berkeley, ZINO is a Mediterranean restaurant introducing cuisines of 22 Mediterranean countries with an imaginative interpretation of executive chef Brandon Hicks. The menu rotates seasonally and depends on the availability of local fresh produce. The food is accompanied by several nice wines and local craft brews. ZINO’s dining room is grand and very Old World, with massive pillars and gleaming woods. It is perfect for social gatherings and celebrations. If you come with a bunch of friends to check Zino’s famous cocktails, try the Mediterranean traditional “mezze” or appetizer of small plates such as grilled octopus with Spanish chorizo, hummus made of chickpea, tahini, and lemon and served with pita, or muhammara – roasted red pepper paste with walnuts and pomegranate. 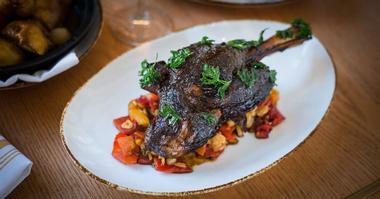 If you are coming for dinner, try Persian braised lamb shank with piquillo peppers, apricots, and pearl onions. 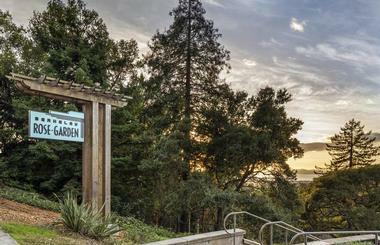 Tilden Regional Park is a popular regional East Bay park located on Grizzly Peak Boulevard. Made up of more than 2,000 acres, it was named after Charles Lee Tilden, the businessman who bought most of the land in order to preserve the wilderness area for the public to use and enjoy. The park is unusual in that it contains high peaks, deep valleys, and thick forests so close to the city and offers stunning views of San Francisco and the San Francisco Bay. Cyclists, hikers, horseback riders, and runners are all welcome to use the various trails. Other features of the park include Anza Lake, a golf course, a miniature steam railway, and much more.